I absolutely love Danza Kuduro! With Omari Ferrari on this track, I hope to hear it for this upcoming carnival season. Espeically since I can't get enough of Omari Ferrari's song, In De Fete, where he reppin' the Virgin Islands HARD !! The roots of kuduro can be traced to the late 1980s when producers in Luanda, Angola started mixing African percussion samples with simple calypso and soca rhythms to create a style of music then known as "batida" which evolved to Kuduro. Kuduro dancing is similar to Dancehall dancing of Jamaica. It combines traditional Angolan Kilapanga, Semba and Zouk with Western house and techno. Kuduro is very popular across the former Portuguese overseas provinces in Africa, as well as in the suburbs of Lisbon, Portugal, due to the large number of Angolan immigrants. 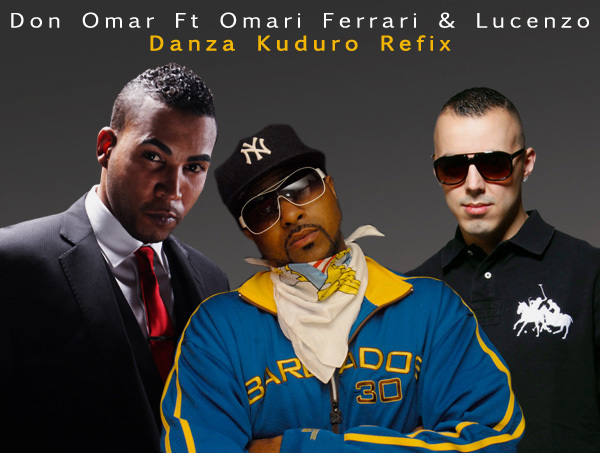 Here is the video of Don Omar ft. Lucenzo Danza Kuduro. This song was #1 on Latin Songs on the Billboards. Read more about Kuduro at Cutlass & Cane and here.